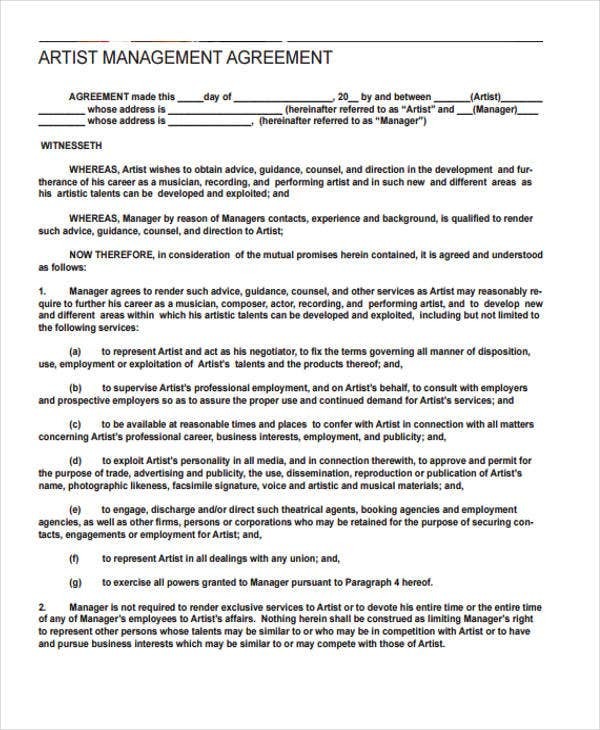 As you can see, this type of contract is made for you convenience. 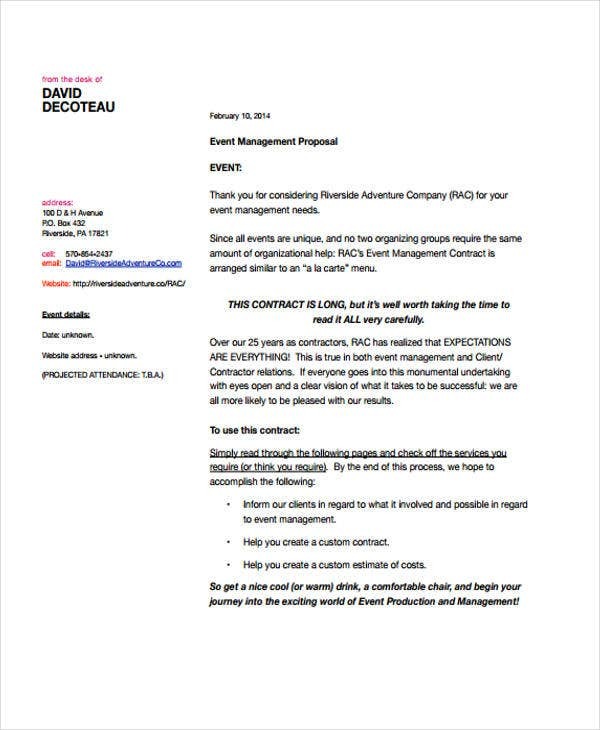 To help you create your management contract, you can learn from our list of management contract templates that cater to a variety of subject matters, including but not limited to properties, projects, construction and the like. 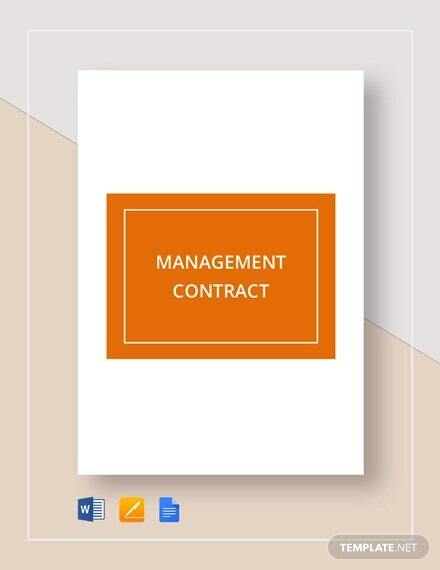 Management Contract Templates applies to a variety of field of interests. They are mostly applied in business transactions which are also reflected in Business Contract Template . 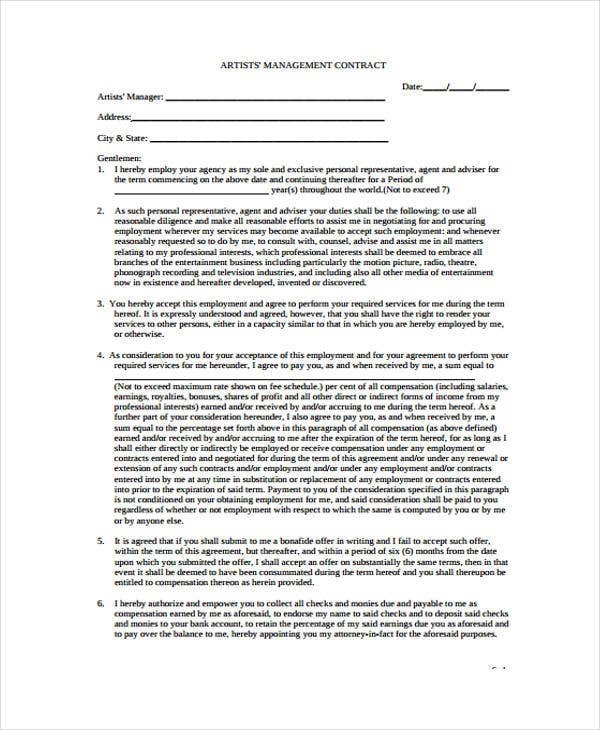 Here are some popular contract templates you can download and use. 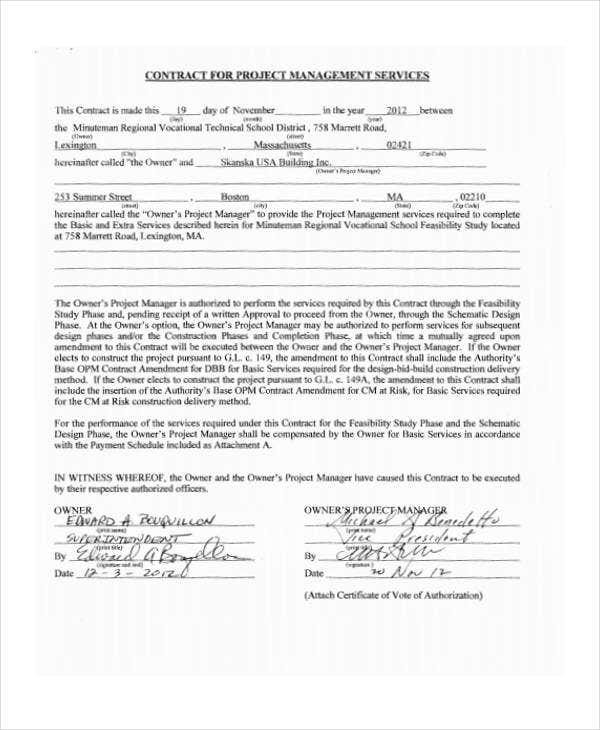 Construction Management Contract Template – This type of management contract transpires between the investor and the builder. The coverage of the terms and conditions emphasized in the contract pertains to pre-construction and construction activities. 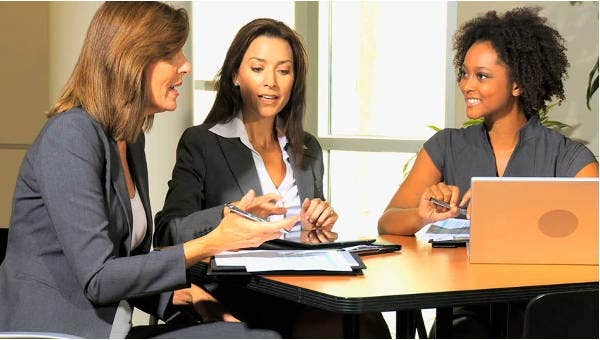 One of the major obligations of a management contractor is to manage all administrative and operational affairs. Indeed, the investor must be very keen in the selection of a management contractor. 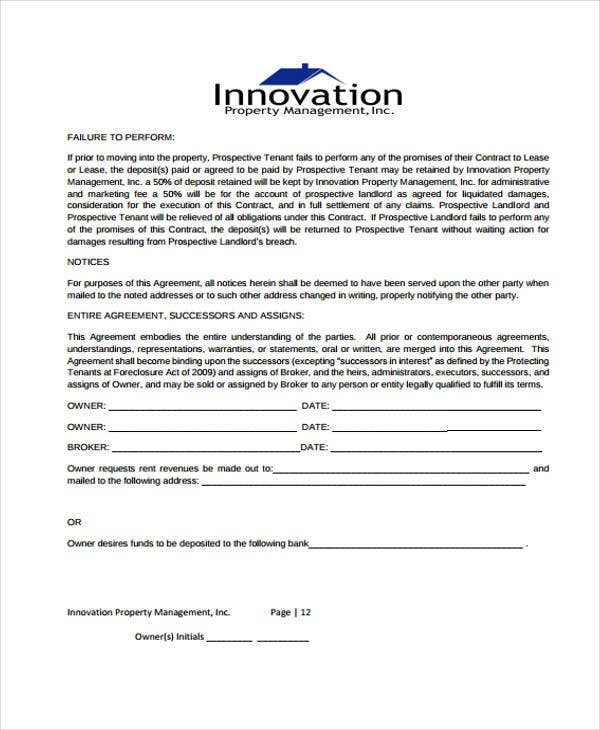 Property Management Contract Template – The management contractor manages the property of the other party. 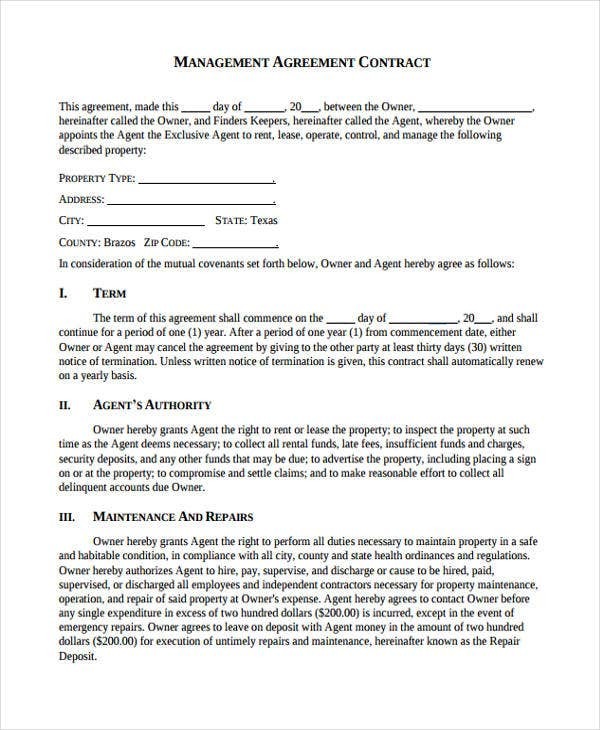 Some of the essential components of this contract are the services provided, the relevant fees, responsibilities of the landlord or property owner, stipulations as to liability, the duration of the contract and a termination clause. 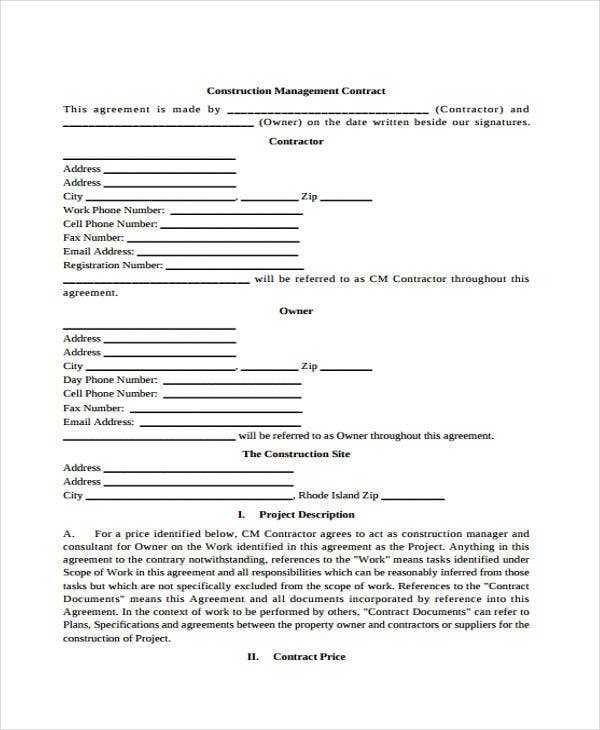 Project Management Contract Template – The subject matter of the management contract is the project. The management contract deals and oversees the fulfillment of the project particularly its administrative affairs. What are the Essential Elements of a Management Contract? Writing a management contract is indeed technical in nature. You have to take into consideration various aspects. It is holistic and consensual. However, there are key essential elements that are mostly found in management contract templates. Here are some of them. A specific list of services. 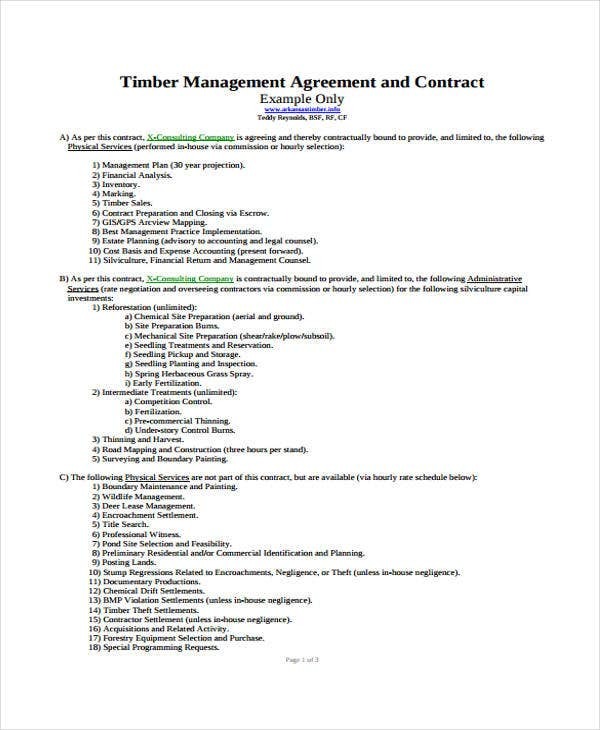 In writing a management contract, regardless of the type, the list of services to be rendered by the managing contractor must be specified. The services form part of the latter’s obligations. You can also emphasize the excluded and extra-services. Duties and obligations of the other contracting party. Bear in mind that a contract is created between two or more persons or juridical entities. In a loan contract, for instance, the creditor also has his or her own share of the obligations and duties which are also highlighted in Loan Contract Template. Duration and coverage of the contract. To avoid confusions and unfortunate results, you have to specify the duration and scope of your agreement. Termination or cancellation details. In a contract, the contracting parties are always given the option to terminate or cancel the contract provided that there are valid grounds sanctioned by the contract or by the laws of the country where the contract was formed.